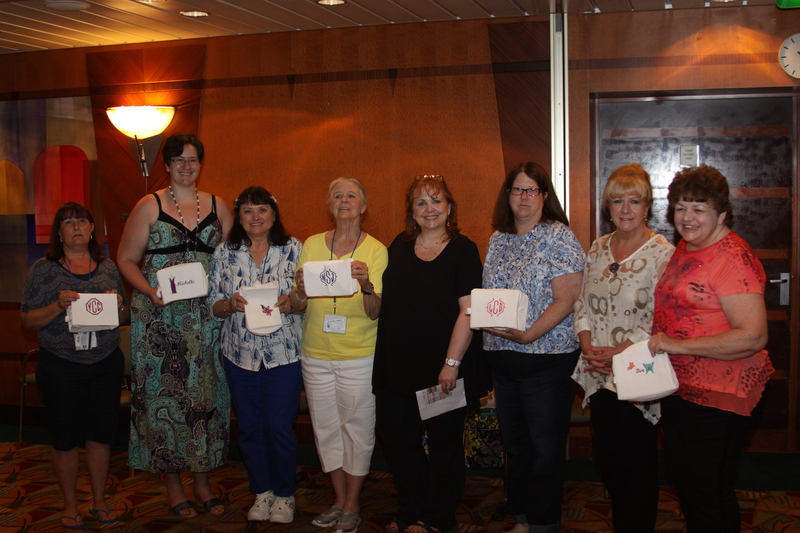 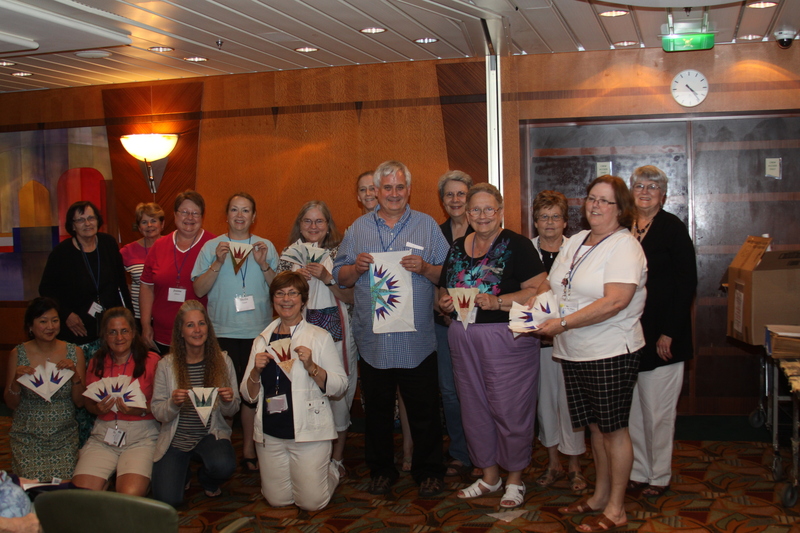 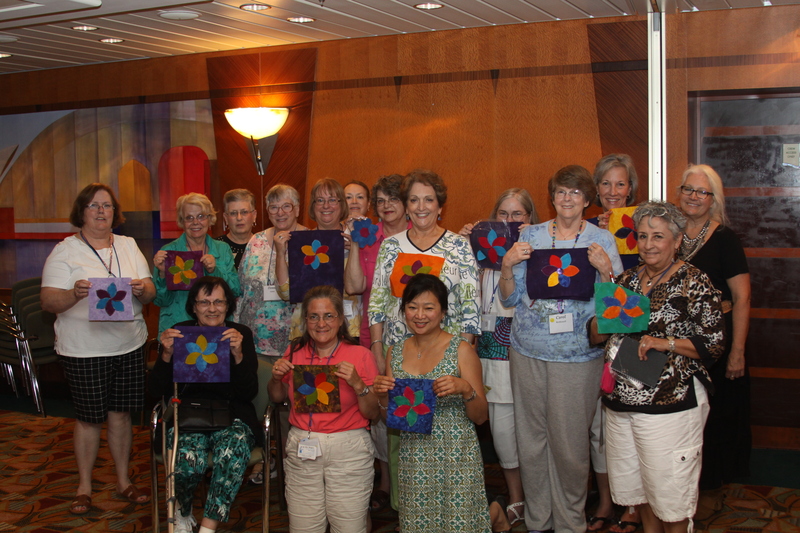 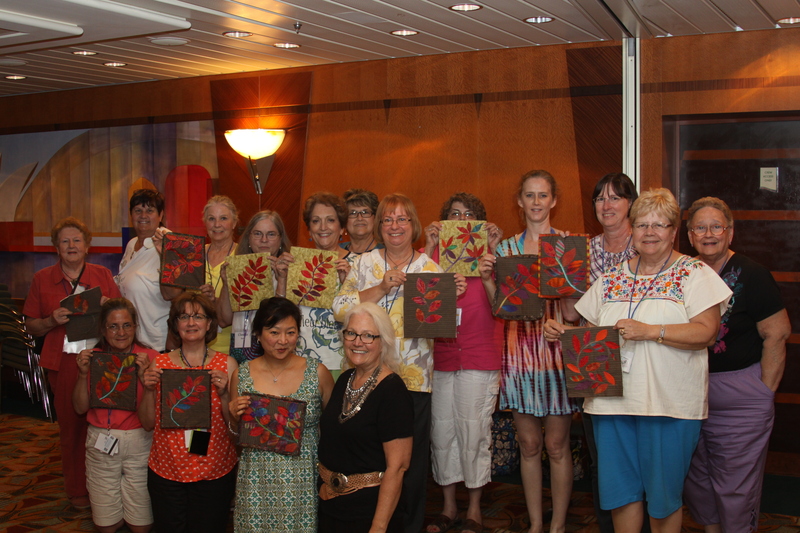 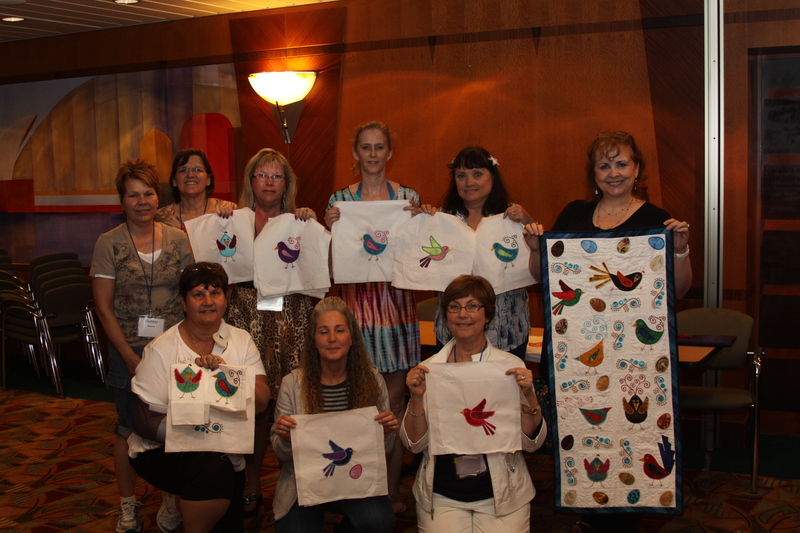 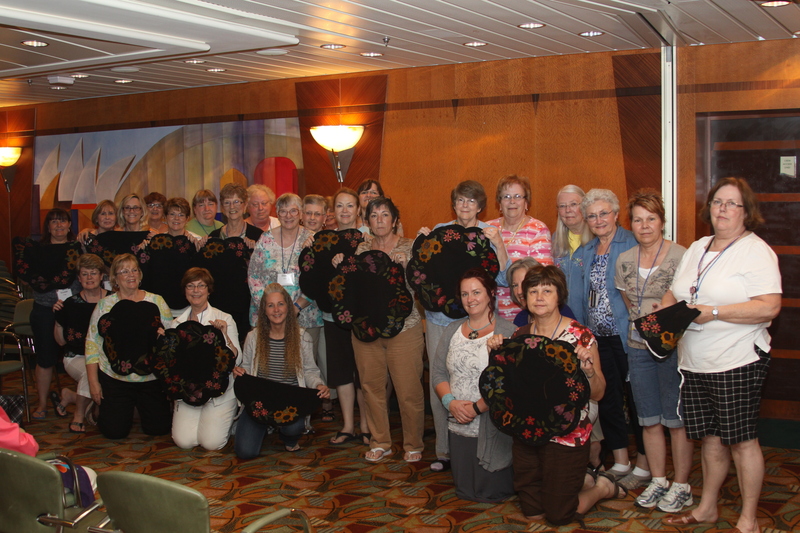 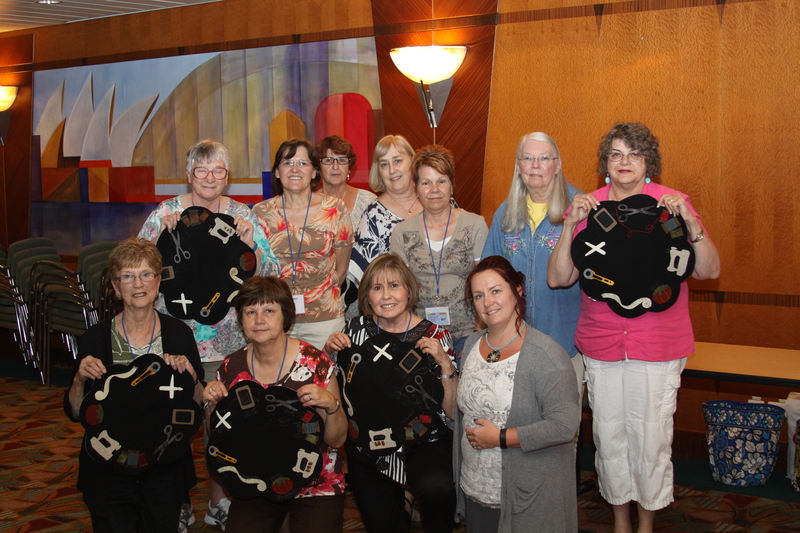 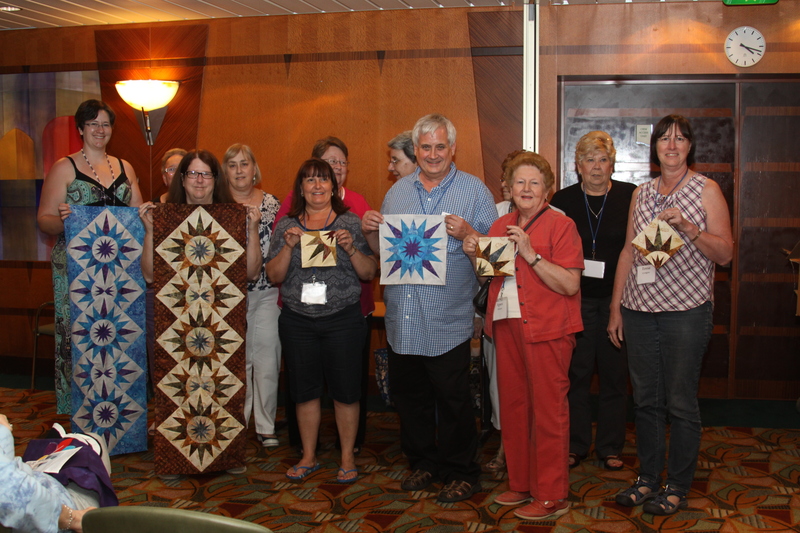 We had a boat load of fun on our recent quilting cruise! 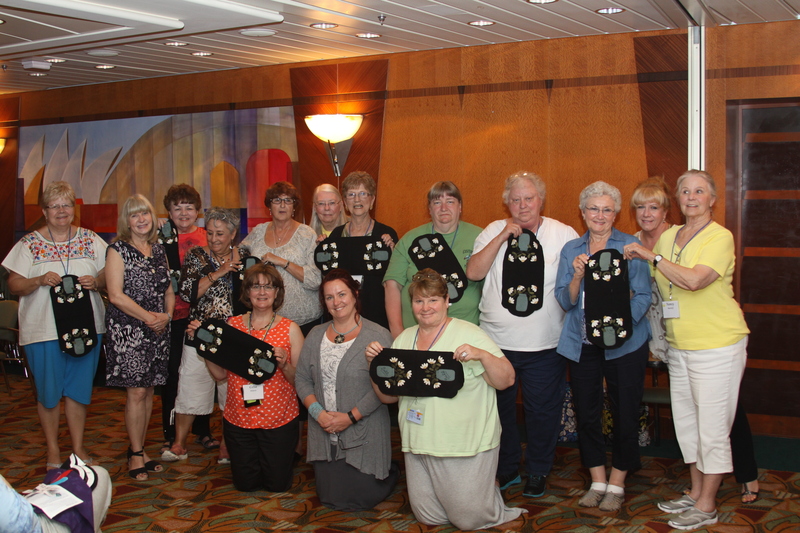 We sailed on Royal Caribbean’s Navigator of the Seas, which is a huge, beautiful ship! 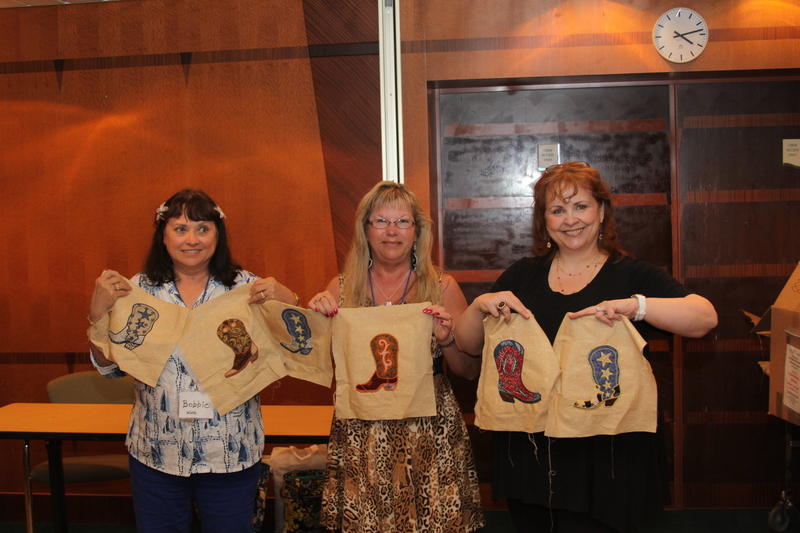 Our teachers this year were Lisa Bongean from Primitive Gatherings, noted author and designer, Karen K Stone; Jan Mathews, a gifted Judy Neimeyer teacher, and me, Rose Ann Cook. 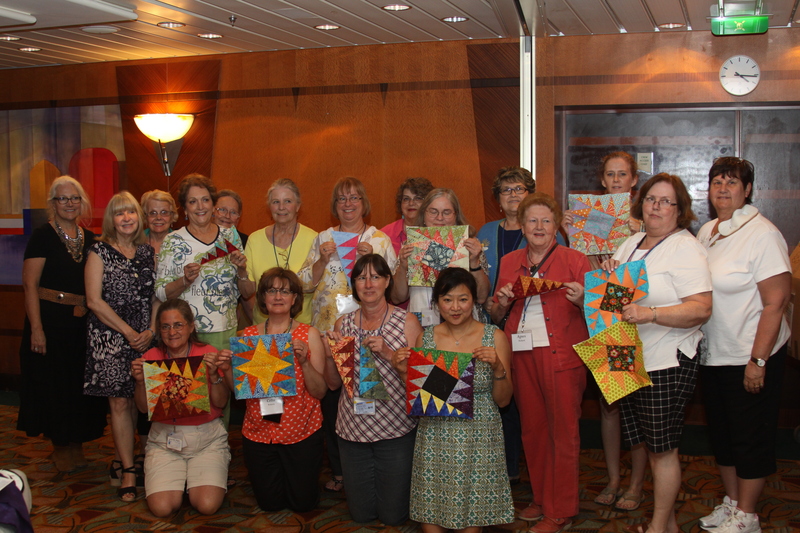 We had lots of fun classes to occupy everyone’s time and I’m going to share several photos to show you what everyone did.